“If Scarlet Ridge wasn’t a place, but a woman, what sort of woman would she be? Would she be a pin-up girl, a journalist, a seductress, a murderer? 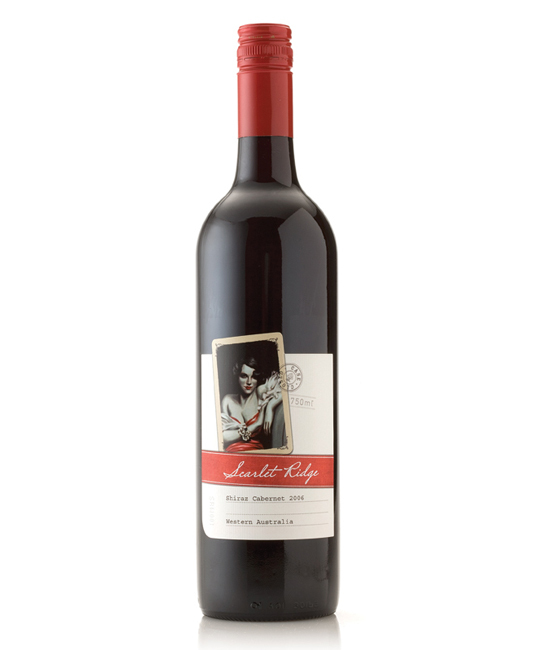 The Scarlet Ridge wine label from Western Australia’s Harvey River Bridge Wines brings the story of Scarlet Ridge to life. The concept is derived from Miss Scarlet a fictional character from the board game Cluedo and telling her story through a range of wine labels. Each label will uncover a new aspect of Miss Scarlet’s personality like buidling a detectives suspect profile. The design of the label reflects this in its use of imagery and typography. Illustrations: Malcolm Lindsay @ Scribbles Illustration Studio.